Have you ever wondered which iconic movie character is the most like you? 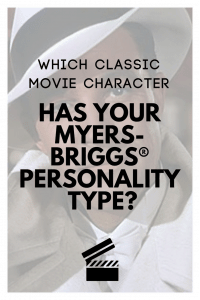 Classic movies can be an entertaining way to see different personality types in their element. So next time you’ve got an unplanned evening, some good snacks, and Netflix (or Amazon), try to check out these unforgettable characters! Have any alternate suggestions? Let me know in the comments! It was difficult finding a character for each type, and there are a few I feel were rather one-dimensional representations. George Bailey was a man of dreams, ambitions, and compassion. 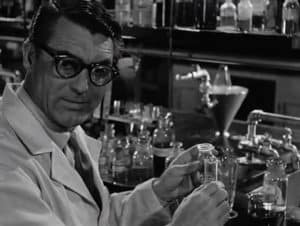 Like all ENFPs, he longed to explore, create, and experiment, yet his values and loyalty to his family kept him in Bedford Falls where he felt trapped and the days seemed monotonous. Through a series of constant disappointments, Bailey tries to maintain his generosity, spirit, and imagination, but it’s not easy. It isn’t until the angel Clarence shows him what life would have been like if he’d never been born that Bailey can really appreciate his past accomplishments. 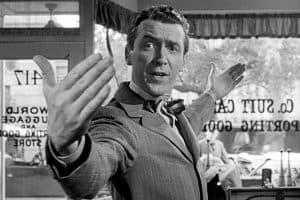 George Bailey: Well, then you can swallow it, and it’ll all dissolve, see… and the moonbeams would shoot out of your fingers and your toes and the ends of your hair… am I talking too much? 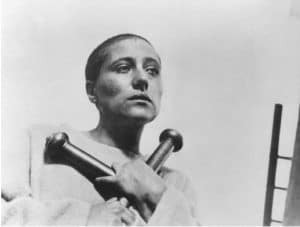 Joan of Arc is considered by many typologists to be a real-life INFP. She showed conviction to her values above all else, staying true to her cause against fierce opposition and even torture. Joan of Arc was greatly affected by powerful intuitive visions and was able to discern military movements based on what many believe to be divine revelation. She shunned tradition and bravely dressed as a soldier in order to lead the French army to victory during the Hundred Years’ War. Colonel Pickering is very aware of the emotional needs of others. He’s quickly able to put people at ease, especially Eliza Doolittle, empathizing with her and treating her with respect and kindness no matter what her background or social status is. He’s concerned with character and morals, as evidenced by his dismay over her father’s drunken exploits. 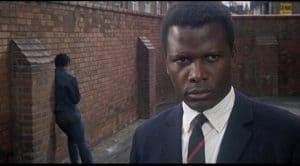 He also shows concern for Henry Higgins’s character and intentions. Pickering is able to see the potential in Higgins plan, but is also able to predict how different circumstances may affect Eliza’s sense of honor and dignity. He’s very observant and quick to see how things will play out . His inferior thinking function is clear in the way enjoys collecting vast stores of information but gets exhausted with guessing games and logic puzzles. T.E. Lawrence captures the single-minded idealism and compassion of the INFJ personality type. Lawrence is easily able to understand and motivate the people he meets and foresee how events will play out for them in the future. He’s guided by his values and his vision and is able to quickly adapt to the people he’s with. He’s concerned with humanity and intensely driven to achieve his goal of Arab independence. 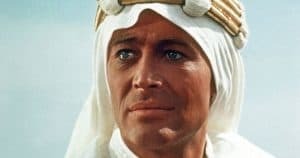 Like many intuitive-dominant personality types with inferior sensing, Lawrence forgets about food, water, or his physical needs in pursuit of his greatest vision. 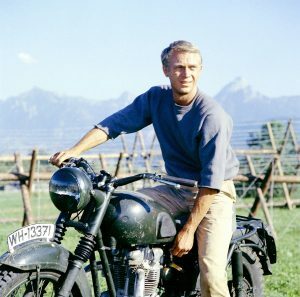 You can’t get more cool, calm and quick-witted than Steve McQueen’s Virgil Hilts from 1963’s “The Great Escape”. Hilts was a real World War II pilot who was nicknamed ‘The Cooler King’ because of how much time he spent in solitary confinement after his dozens of escape attempts from POW camps. Hilts combined precise logic with a keen awareness of his surroundings to make his way out of some of the most heavily defended camps. He was unstoppable in his efforts, spending weeks and months in a small, locked cell with nothing but his baseball and mitt for company. Through any struggle he maintained an easy-going, confident attitude. Von Luger: Are all American officers so ill-mannered? Hilts: Right. Oh, uh, you’ll still be here when I get out? 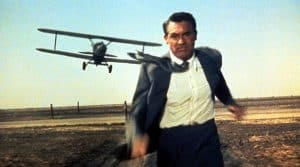 Outgoing, action-oriented, and quick-witted, Don Lockwood gives us an unforgettable glimpse of an ESTP character. He’s a man who thinks swiftly, knowing how to seize the moment and make the most of what’s handed to him . He’s physically graceful and aware of his surroundings, responding quickly to events as they happen in real-time. He faces the facts and analyzes situations and his own behavior with a critical, honest eye. His tertiary Fe gives him an easy charm and ability to “perform” emotionally when the time calls for it (pretending to court Lina when he can’t stand her). Princess Ann longs for freedom and exploration, to see all there is to see. She’s impulsive yet driven by her values and frustrated with how insincere she feels as a princess. She keeps her feelings to herself and longs to discover her true identity (Fi). 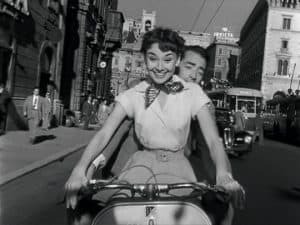 She thrills in all the sights and sounds of Rome, and is extremely observant and able to utilize her environment effectively. Her inferior thinking (Te) is obvious in how uncomfortable it makes her to issue orders and direct others. I was hoping to find a more in-depth ESFP character to put here, but at least for now Phil Davis is the best example I can find. He’s quick to react to ever-changing situations, like the wall falling on Bob Wallace. He knows how to take advantage of opportunities as they arise; teaming up with Wallace after he’s saved his life. He makes quick, spur-of-the-moment decisions and longs for a life where he can have more free time and less time that is scheduled and all planned out. He displays the enthusiasm, warmth, and fun-loving spirit of the ESFP perfectly. Phil Davis: I want you to get married. I want you to have nine children. And if you only spend five minutes a day with each kid, that’s forty-five minutes, and I’d at least have time to go out and get a massage or something. Thornhill is a decisive, organized, directive individual (Te) who has no problem planning out every single moment of his day or his future (Ni). In fact, when the movie begins he is dictating his whole future to his secretary. In the midst of chaos he’s able to keep a steady head, ask the right questions, and intuitively sense danger. He’s confident and intensely curious, with quick, sharp comebacks for his attackers. “The Professor”: If I thought there was any chance of changing your mind, I’d talk about Miss Kendall, of whom you so obviously disapprove. Thornhill’s inferior Introverted Feeling shows up in the way he keeps his emotions out of the picture, forms feelings and bonds without verbally expressing himself, yet appreciates honesty and authenticity in people. Roger Thornhill: Not that I mind a slight case of abduction now and then, but I have tickets for the theater this evening, to a show I was looking forward to and I get, well, kind of *unreasonable* about things like that. Fogg is driven by his vision (Ni), focused on efficiency, and quick to solve problems using logic and clear thinking. His tertiary introverted feeling becomes obvious in the way he sticks to his principles and values yet remains private and unemotional. 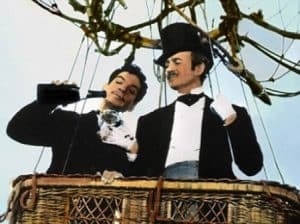 Phileas Fogg: Unlike you and your colleagues, money does not inspire me. Lord Kelvin: I believe every man has his price. Even you, o noble Phileas Fogg. There must be something I could offer that would be worthy of your time. Phileas Fogg: There is. Your position as head of the Royal Academy. I could lead Britian and the rest of the world into a new age of progress and discovery. 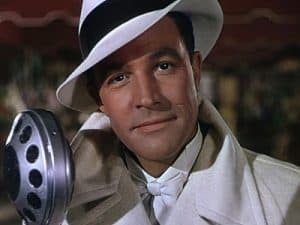 I was really hoping to find a more three-dimensional INTP character for this article, but I watched old movies for weeks and Fulton was the best I could find! Fulton is intelligent, quietly analytical, and always looking for the right angle or element that will make his solution work. He can engage in witty Ti-style debates with people, using clever plays on words to frustrate them. He loses track of his surroundings, the people around him, and where he is as he tries to analyze and come up with possibilities that will work. Fulton is clearly an introvert, finding excuses to get out of going to social engagements repeatedly. He also shows a perceiving tendency as he changes plans at the last minute and has very little patience for schedules and pre-determined agendas. Barnaby: Hello, Griffith Park Zoo, Snake Department. Sssshhh! Oliver Oxley: Hello? Hello? What is this? Barnaby: What do you want? Oliver Oxley: This is Mr Oxley. Barnaby: I’ll see if he’s here. Oliver Oxley: No, I said *this* is Oxley! Oliver Oxley: I am, speaking! Oliver Oxley: This is Mr. Oxley speaking! Barnaby: Oxley Speaking? Any relation to Oxley? Oliver Oxley: Barnaby Fulton is that you? Oliver Oxley: I am, Barnaby! Barnaby: Oh, no, you’re not Barnaby. I’m Barnaby! I ought to know who I am. Oliver Oxley: This is Oxley speaking, Barnaby! Barnaby: No, that’s ridiculous! You can’t be all three. Figure out which one you are and call me back! Caracticus Potts is driven by a desire to explore and experiment and make a better life for his children. He thinks outside the box, creating ingenious plans for survival using a combination of analytical thinking (Ti) and innovative perspectives (Ne). He has an easy expressiveness and charm that tertiary Fe users are known for, yet he doesn’t care to share his feelings readily with everyone. Caracticus Potts: Mm? Oh. Do you think I’m a lunatic, wasting my time on a lot of silly inventions? Jemima: But they aren’t silly! They’re wonderful! Jeremy: Nobody else can think of them. Caracticus Potts: That’s right! That is right! Nobody else can think of them. Rick Blaine gives us an example of the quiet, detail-oriented, logic-driven ISTJ. He’s a man absorbed in his past, with a vivid memory and an ability to recall past experience quickly. He interacts with people and the world around him logically, by categorizing, organizing and negotiating shrewdly. 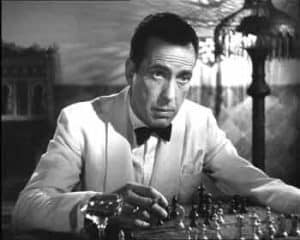 He knows how to stay objective and keep his personal feelings out of things, especially when he betrays Lazlo to leave Casablanca with Ilsa for himself. We also see Blaine’s strong sense of right and wrong by the way he does things to satisfy a private, internalized set of values. He tries to shut out his feelings, but this remains a struggle for him. Ilsa: Don’t, Rick! I can understand how you feel. Rick: [scoffs] You understand how I feel. How long was it we had, honey? Ilsa: [on the verge of tears] I didn’t count the days. Rick: Well, I did. Every one of ’em. Mostly I remember the last one. The wow finish. A guy standing on a station platform in the rain with a comical look in his face because his insides have been kicked out. 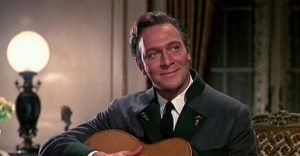 If anyone is good at organizing others and keeping a ship running smoothly, it’s Georg von Trapp. He is strict, assertive, decisive, and easily able to keep people in line. He adheres to the traditional values he was brought up with, and finds comfort in routine. 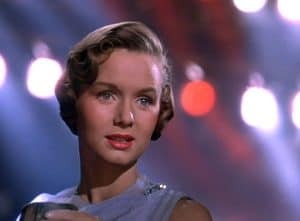 Even when he learns to love Maria, it’s through her ability to rekindle his memory of his appreciation for music and the happy times he had before his wife’s death. He shows his inferior feeling in the way he shuts down other people’s viewpoints without considering them, but also remains true to his values and sense of right and wrong no matter what. Maria: Yes, well the children were scared of the thunderstorm and… You did, sir. 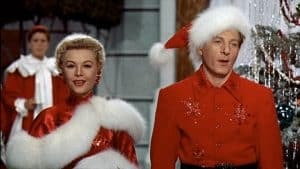 Captain von Trapp: And do you or do you not have trouble following these simple instructions? Responsible, practical, aware, generous. Thackeray perfectly embodies the down-to earth, kind nature of the ISFJ. He’s driven to help some of the most challenging students in London and prepare them for life in the adult world. He realizes that the children need real-life practical tools to succeed, not just academic lessons. Thackeray’s extraverted feeling shows up in the way he does what’s proper, teaching the female students to act like ‘ladies’ and the boys to act like ‘gentlemen’. He is driven by a strong set of values and convictions, and struggles with maintaining his composure and emotions as he sees his students evolve from rough and rowdy children to young men and women able to face the world with confidence. Kathy Seldon is warm and open with her feelings, easily stating how things affect her and expressing her values. She also can sense other people’s emotions, knowing just what to say that will affect them. She uses this to cut Don Lockwood down to size when she first meets him. 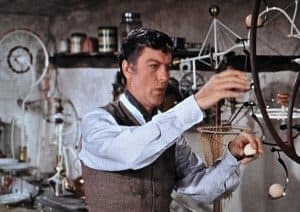 Don Lockwood: You mean like what I do? Kathy’s introverted sensing becomes apparent in how she judges things through personal experience. She assumes things about people based on their reputations and she recalls the past easily. Her emotions nearly always come before her sense of logic (inferior thinking) but she still knows how to argue effectively. Do you have any suggestions or thoughts? Let me know in the comments! I know this isn’t a classic movie character, but what is the personality type of Legolas, from The Lord of the Rings? I’m not 100% sure….I’ve heard ISTP and that definitely seems like a good possibility to me!